something worth your while. Please feel free to suggest your favourites. There are too many worthy movies for a lot of details, but in some cases you can link to more detailed descriptions. "The Theory of Everything" with Eddie Redmayne and Felicity Jones was thought provoking and inspiring. "A Good Lie" directed by Canadian Phlippe Falardeau and starring Reese Witherspoon gave refugees some spotlight Later in year watched Reese in "Wild", a quite different story that illustrates her versatility. "The Imitation Game" with Benedict Cumberbatch and Keira Knightly and Matthew Goode from The Good Wife. 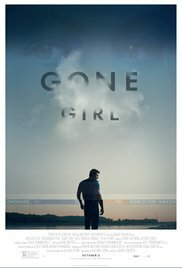 "Gone Girl"--study in sociopathy--critics said plot was implausible. I would agree it would seem highly unlikely, but we go to movies to watch highly unlikely events. Most would get a kick out of this. "To Kill a Mockingbird", a classic. Gregory Peck reminding us of courage required confronting racism. "The Prosecution of an American President" was not popular, but irrefutable. Vincent Bugliosi, a famous prosecutor presents a strong case against President George W. Bush. Saw a few horse related movies. "This Way of Life" a documentary from New Zealand about a man who makes his living training horses and living as naturally as possible. The film deals with some personal conflict and I was struck with how introspective and tolerant he was. Horse lovers will be struck with some of the horsemanship displayed by his young children. "Buck" recommended by a sales contact. "Riding Back to Life" was a short film and demonstrating how horses can be effective therapeutically. "The Turin Horse" was not something horse lovers would enjoy as the horse in some way is used symbolically. The last film of the year (number 343) I saw was an oldie, "Hoosiers" about my favorite game, basketball and was done very well and although seemed to have some cliches was also realistic. 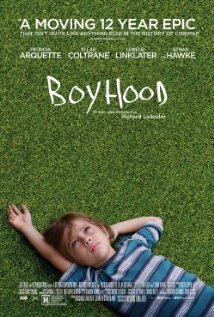 Good writing, directing, acting, cinematography and music. A second Korean film "Miss Granny" a hit on Netflix where a 74 year old women who reminds me of my dear Nanny, my wife's grandmother Lucy. The protagonist was transformed into someone 50 years younger. Opens up a lot of interesting plots--some enjoyable music. "Hamari Adhuri Kahaani" with Emraam Hashmi and Vidya Balan provided layered sad romantic story inspired by a producer. I liked the music and bought two songs on iTunes. "The Best Goodbye Ever" (Dasvidaniya) starring Vinay Pathak in a bucket list type of movie from the perspective of a shy man. Makes you think what your priorities could and should be. "Bajrangi Baijaan" starring Salman Khan broke down one of my barriers about him. He is smooth, too smooth, but in this movie he fits in with a delightful plot where an Indian finds himself helping a young Pakistani girl who is mute. "The Vanishing", unlike most films was difficult to watch, particularly the ending. If you like movies of this description the 1988 version in Dutch and Flemish is a masterpiece with an American version 5 years later apparently not so good although had the same director. Most movie viewers would probably not enjoy this movie. 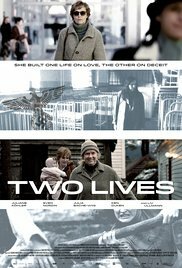 A German/Norwegian production, "Two Lives" takes us back to the consequences of the fall of the Berlin Wall. Julianne Kohler, a prominent German actress plays the daughter of an East German and Norwegian with lots of secrets. Among French movies I enjoyed "3 Hearts" mainly because I always enjoy Charlotte Gainsbourg. I also watched "Gainsbourg" a movie about her father. My most popular blog of the year has been one on Hispanic movies. You can read more at; http://www.therealjohndavidson.com/2015/07/hispanic-cinema-spans-globe.html Some of the ones I enjoyed this year included "The Education of Fairies" and "Wild Tales, both with favourite actor Ricardo Darin. 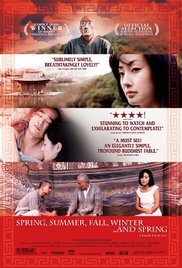 After writing my blog I found another source of his films--the Burlington Library and enjoyed "Chinese Take-out"
Last year I discovered a movie from Paraguay, that was quite noteworthy and this year I found a movie set in Laos that surprised me with its quality, though directed and written and financed by Australians. "The Rocket " Australian director/writer Kim Mordaunt first filmed a documentery about bombs in Laos. The fictional sequel won 3 awards at debut festival--Berlin Film Festival. 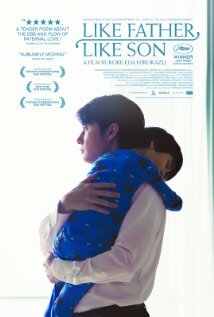 I watched a DVD of "Ilo Ilo" from Singapore that been shown at the Hamilton International Film Festival. Dialogue in Mandarin and Tagalog (from the Philippines) plus English as the main language between the main protagonists. Interesting casting story The director had to fly to Philippines to pick out a key character--after a long search picking a lead character she got pregnant. Instead of going after a replacement the director/writer decided to re-write the script to include a pregnant mother. Won an award at Cannes. There were lots of others I enjoyed or appreciated, but this already too long. In the effort I also saw a few duds with little redeeming value. Which movies would you recommend?